The scent of nutmeg links six missing women and Sherlock is adamant that the same person is not behind all the disappearances. Watch Elementary online to find out how they are connected. Watson has a new client, Kim Holder, who hires her to find out what happened to her sister, Jessica. She disappeared five years ago with the only clue being the scent of nutmeg. Sherlock invites himself to join the investigation, much to Joan's displeasure. They meet with the FBi agent handling the case, but Sherlock quickly dismisses him. He does not believe Jessica's case is connected to the other five missing women, regardless of the scent of nutmeg that was noted in all of the disappearances. They quickly solve Jessica's disappearance when they discover she was having an affair with a neighbor, a criminal lawyer. He had told her that his client, Raymond Carpenter, was guilty of several murders. She was going to tell the police so Carpenter had her killed. But the man who murdered her is already dead. There is a new case with the scent of nutmeg so Sherlock brings in The Nose. He notes that the overwhelming smell of nutmeg is used to hide the scent of other chemicals. The common link between the cases is The Cleaner who cleans up murder scenes for his criminal clients. How will Sherlock and Joan identify an expert in eliminating evidence? Watch Elementary online to find out the answers. 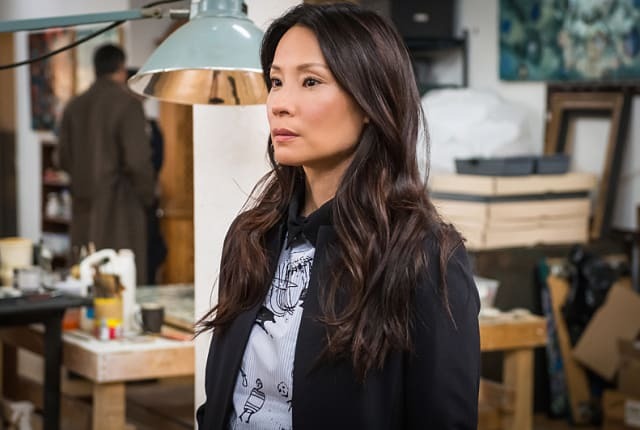 On Elementary Season 3 Episode 7, Holmes horns in on Watson's investigation into a missing girl with the only clue being the smell of nutmeg. It's connected to the conflict at your core. The tension between a conventional life and the yearning to heed the call of adventure. Permalink: The tension between a conventional life and the yearning to heed the call of adventure. You, Watson, are something of a romantic terrorist. Permalink: You, Watson, are something of a romantic terrorist.